Add a dash of sophistication to your life! 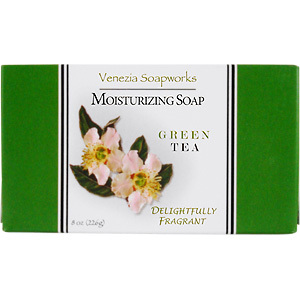 Our soaps are triple refined, delightfully fragrant, deliver a silky smooth lather, and are made from 100% pure vegetable oils. 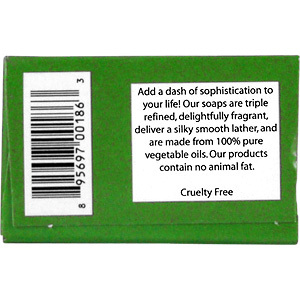 Our products contain no animal fat. 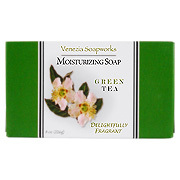 Green Tea Moisturizing Soap is shipped in a discrete, unmarked package. Orders are processed immediately and usually take about 3 to 5 working days to be received. Any information received is used only for order processing and shipping purposes. Your information, such as e-mail address, will never be disclosed to a third party.